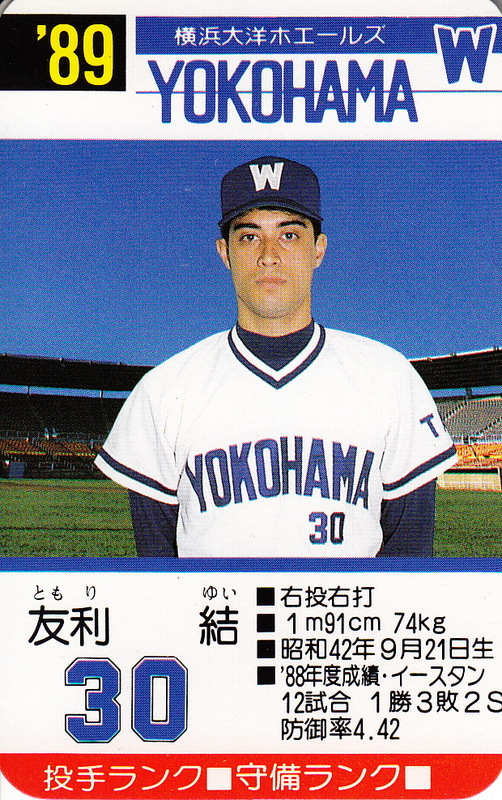 Marines pitcher Hideaki Wakui had been testing the international free agency waters this off season but he's apparently not received an offer from an MLB team that he's willing to take. 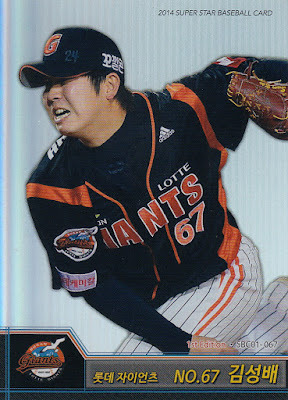 He's expected to resign with Lotte this week. I've been writing this blog for over 10 years now and the one thing I've discovered is how amazingly generous card collectors can be. I got an email a couple weeks back from Alex who told me he had a couple of the short printed KBO cards from the 2014 Superstar Baseball Season 1 set that were listed on my want list and he would just send them to me if my address was still the same. We had some back and forth and I ended up sending him a handful of vintage cards I had doubles of - a couple "tobacco" menko from the early 60's, some Yamakatsu cards from the late 70's and some late '80's Calbee cards. I got his package the other day and he'd included some cool extras as well. He sent me three bromide cards from the late 1940's/early 1950's. 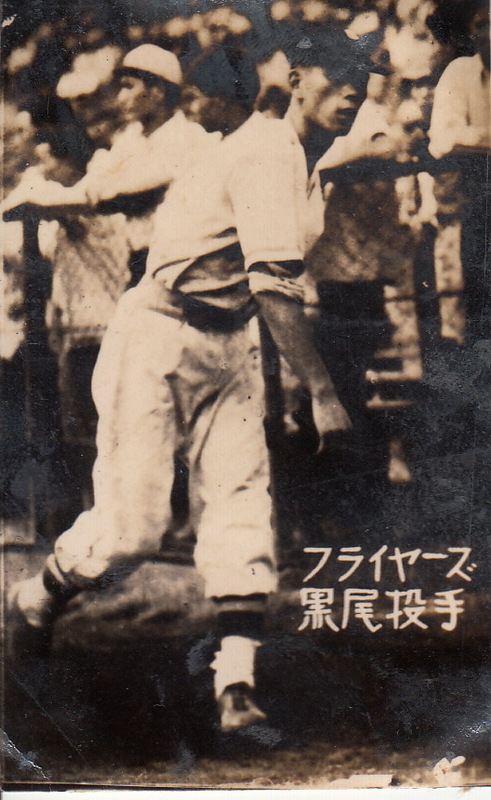 The only one card I was able to determine the set for was this card of Shigeaki Kuroo of the Tokyu Flyers. I'm pretty sure it's from the 1948 Maruhaku "Small Sepia Photo Bromides" (JBR 10) set. 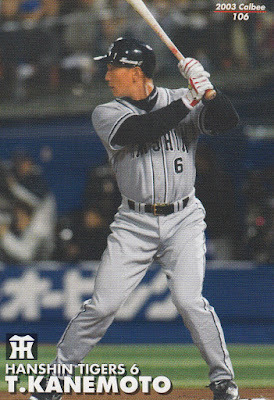 The other two cards are of Makoto Kozuru of the Chubu Nippon Dragons and Kaoru Bettoh of the Mainichi Orions. As far as I can tell both cards are not cataloged. 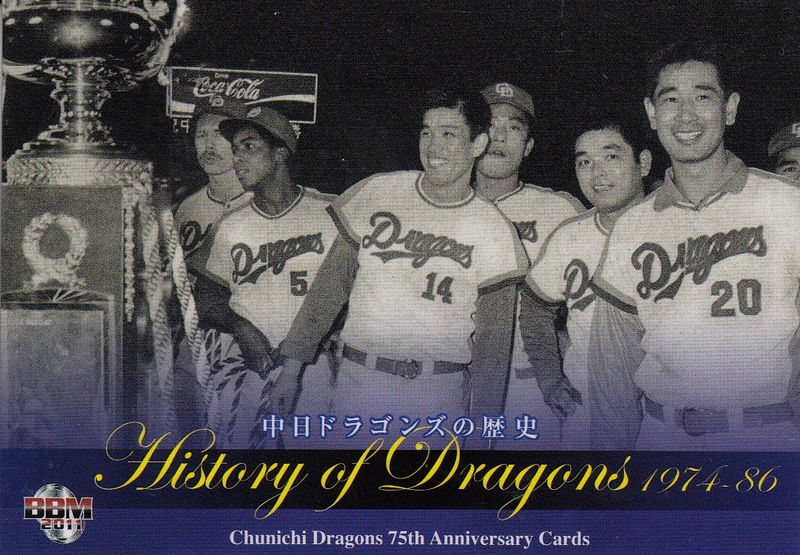 The Koruru card has to be from 1946 or 1947 as those were the only years the team wore the uniform he's wearing (and the only post-war years Kozuru was with the Dragons). 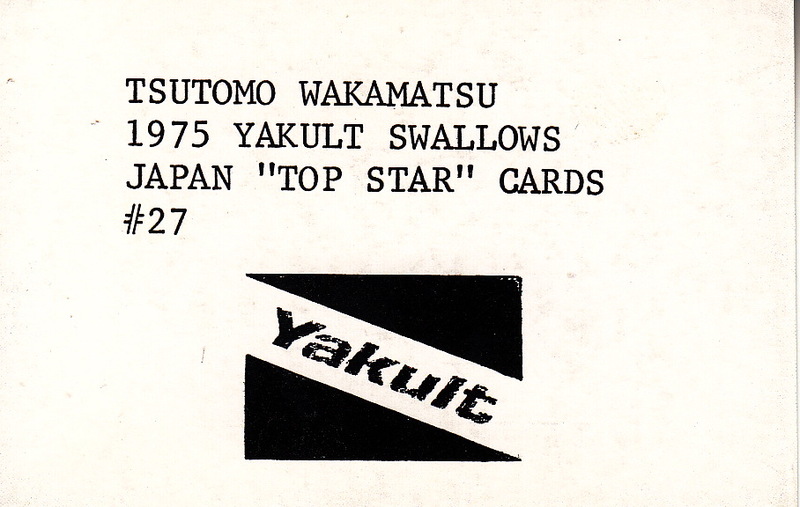 The Bettoh card is probably from 1950 or 1951 - it can't be from before 1950 since the Orions didn't start until then. 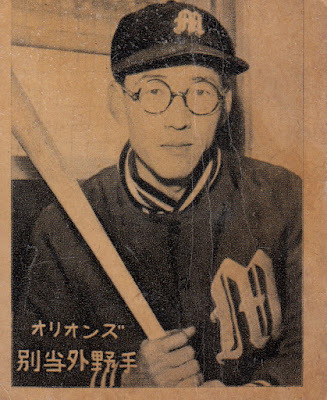 It could be from as late as 1957 but the bromide cards were less common by then. Alex is planning on sending me some more vintage cards in the near future in exchange for me forwarding cards for him to the UK (where he lives) so I'll be doing another post soon on some more really cool cards. Thanks so much Alex! 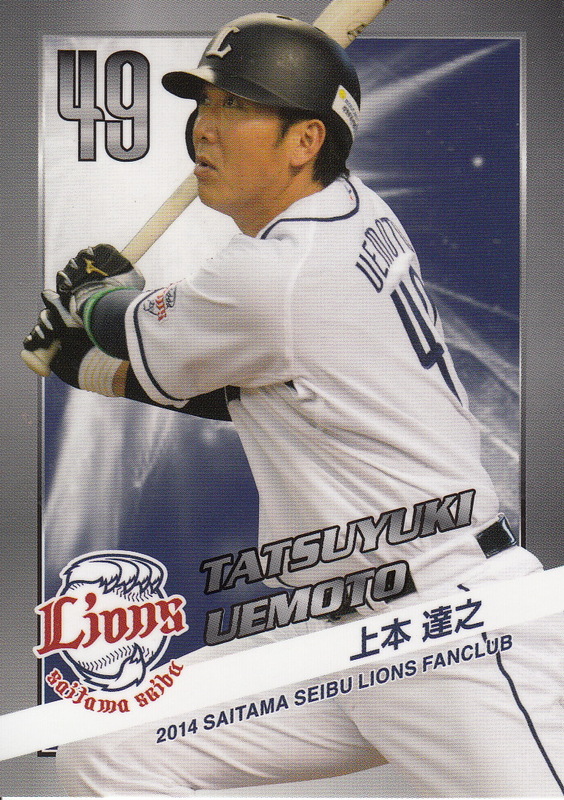 Longtime Lions back up catcher and farmhand Tatsuyuki Uemoto announced his retirement back in October (OK, technically his wife who's a model announced he was retiring on her blog). Uemoto was a sixth round draft pick of the Lions from the Kyowa Hakko Kirin team of the corporate leagues in 2002. 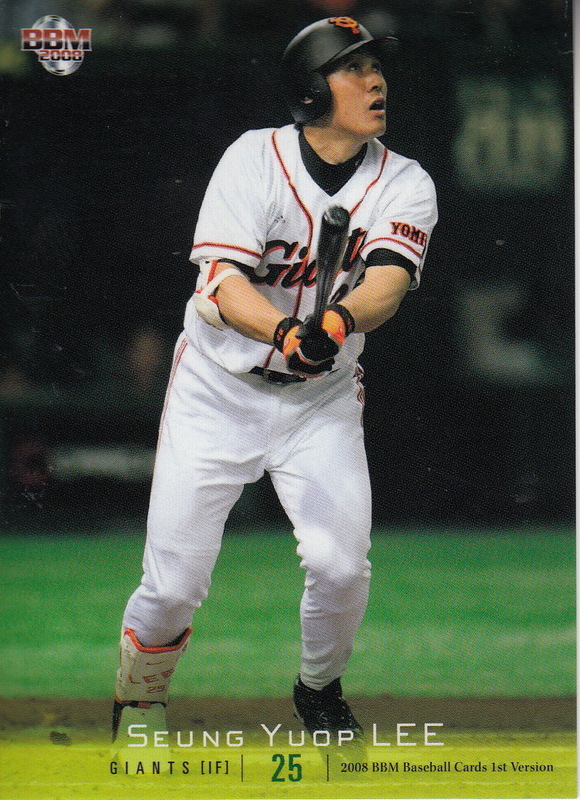 He didn't debut with the ichi-gun team until 2005 and never got a lot of playing time with the top team - there were only three seasons where he got more than 100 at bats. He made the Lions' roster for the last two games of the 2008 Nippon Series after Toru Hosokawa got hurt but he didn't appear in either game. He'll be the Lions bullpen catcher next year. 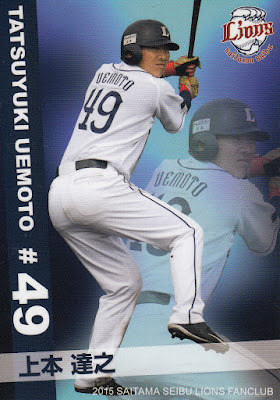 As you might expect, Uemoto doesn't have a whole lot of baseball cards. 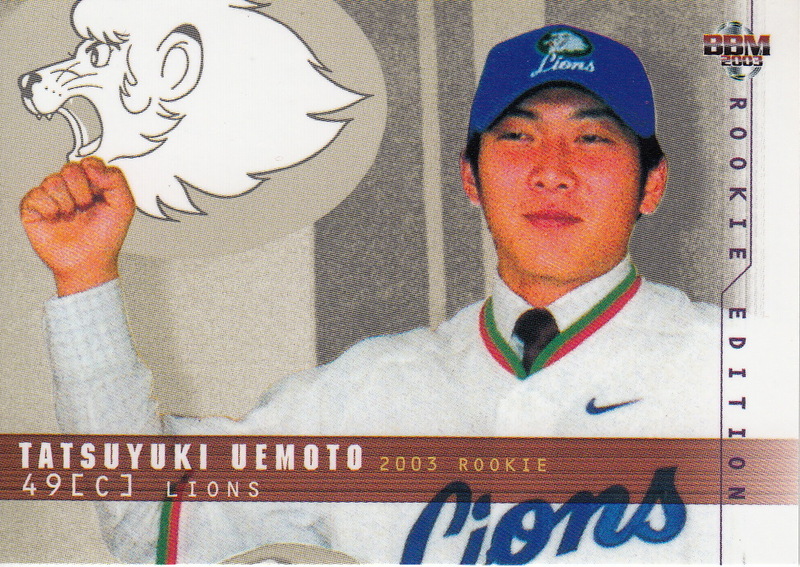 His BBM rookie cards were #54 in the 2003 Rookie Edition set and #217 in the 2003 1st Version set. He only appeared in two other BBM flagship sets - the 2010 and 2011 1st Version sets. 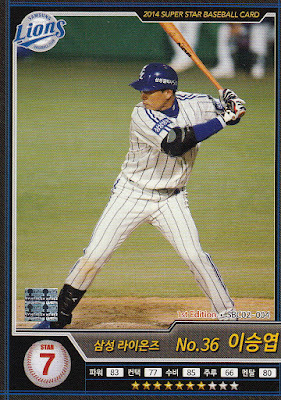 He had one Calbee card - #272 from the 2010 set (which I don't have). 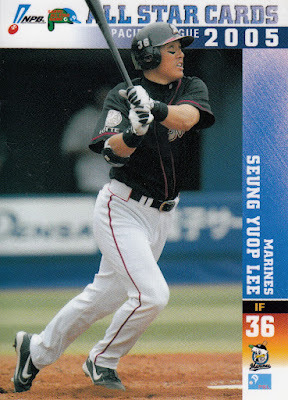 He also appeared in a handful of Konami and Bandai sets but the majority of his cards were in BBM's annual Lions team sets. 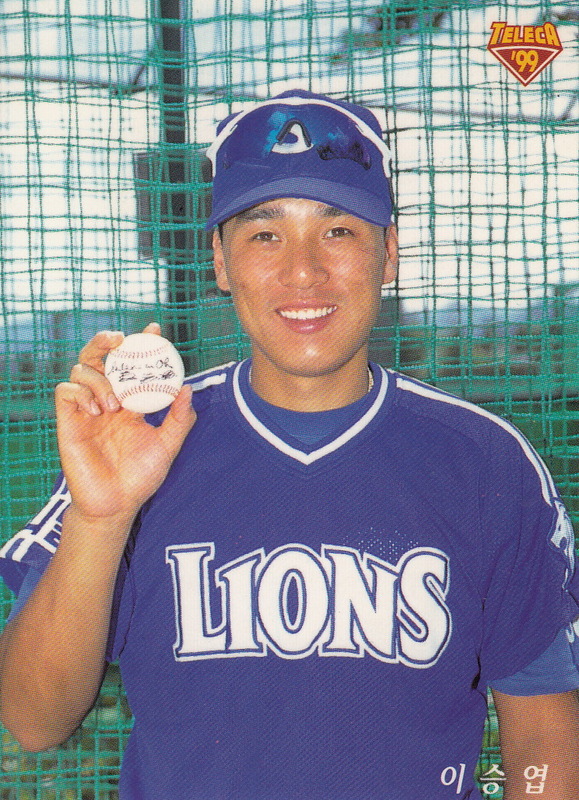 Former Hawk, Lion and Whale Shinsaku Katahira passed away today from pancreatic cancer. Katahira was the fourth round pick of the Nankai Hawks in the fall 1971 draft out of Tokyo Agricultural University. He spent the first 10 years of his career with the Hawks although I don't think he really became a regular until the late 70's. He was traded along with Masahiro Kuroda to the Seibu Lions after the 1981 season for Ritsuo Yamashita and Yoshinori Yamamura. He had a couple good years with the Lions - helping them to win the Nippon Series three times in the next five seasons - before they traded to the Yokohama Taiyo Whales along with Tamotsu Nagai for Shintaro Hirose after the 1986 season. He spent three years with the Whales (the final one as a player-coach) before retiring at the end of the 1989 season. 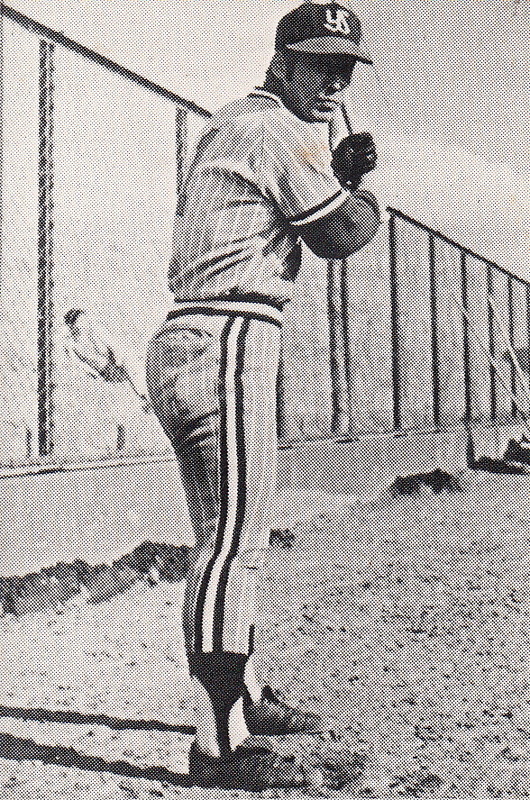 He made the All Star team in 1980 and won a Golden Glove (at first base) in 1983. He played in five Nippon Series - with Nankai in 1973 and with Seibu in 1982-83 and 1985-86. He played mostly a backup role in those Series although he did have a home run in the deciding Game 6 of the 1982 Series. After retiring he coached with the Lions from 1990 to 1997 and again from 2008 to 2009. He was also a TV commentator. 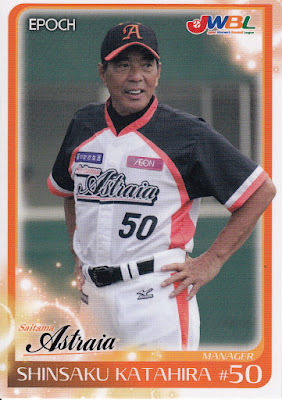 In 2013 he managed the East Astraia team in the Japan Women's Baseball League. He returned to manage the team (now called Saitama Astraia) again in 2016. H/T to Graveyard Baseball for their obituary which was the only English language source I've seen on his passing so far. 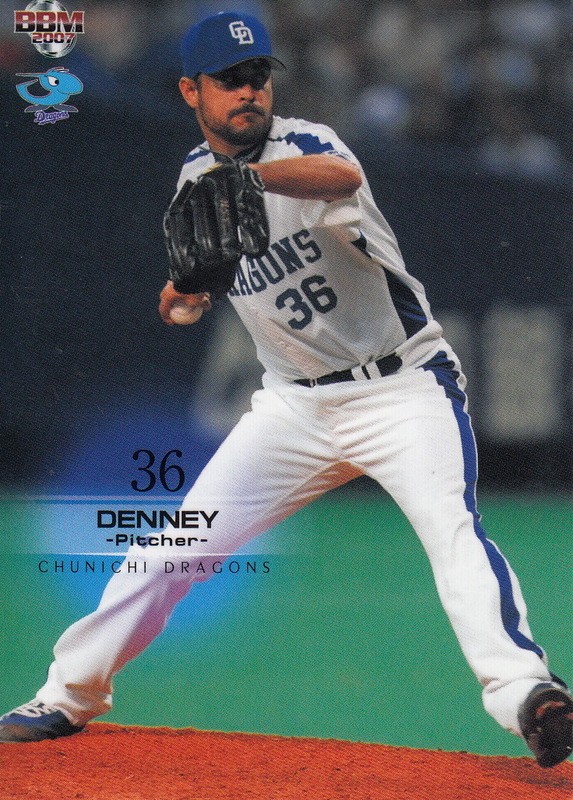 BBM has issued three Anniversary sets for the Chunichi Dragons - a 70th Anniversary set in 2006, a 75th Anniversary set in 2011 and an 80th Anniversary set in 2016. 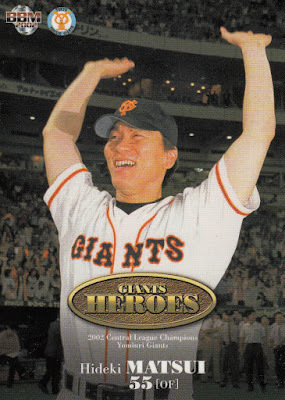 The most prominent player who was missing from the first two sets was the late Senichi Hoshino although he did show up in the last one (his two stints as Dragons manager was the theme of BBM's other OB team set for the Dragons - Dragons Legend). 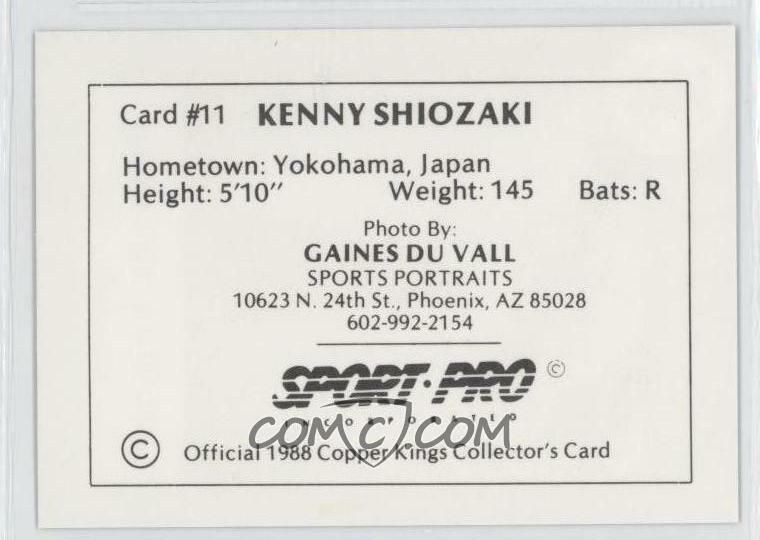 Now when I say he was missing from the sets, what I mean is that there's no "regular" card for him that lists his name on the front and his biographical and statistical information on the back. 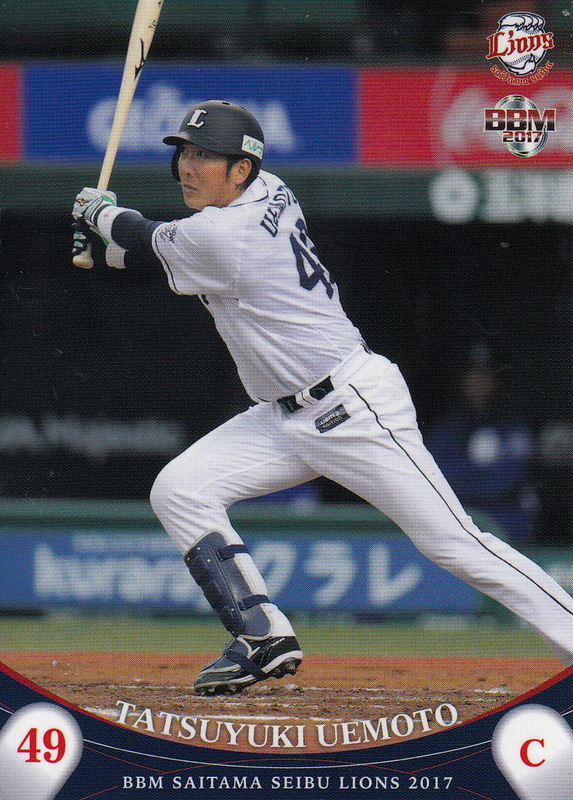 But technically Hoshino's in both sets - he's featured prominently on a couple pictures in the subsets from each set commemorating the history of the team. In the 70th Anniversary set you can see him being tossed in the air on the card showing the do-age celebrating the team's 1988 Central League pennant. In the 75th Anniversary set he can be seen on the far right of the card showing the team celebrating the 1974 Central League pennant - he's wearing uniform number 20. BBM has recently announced three sets that will be released in the next month or so. - The annual "Retirement" or "Farewell" box set will be released in late January. 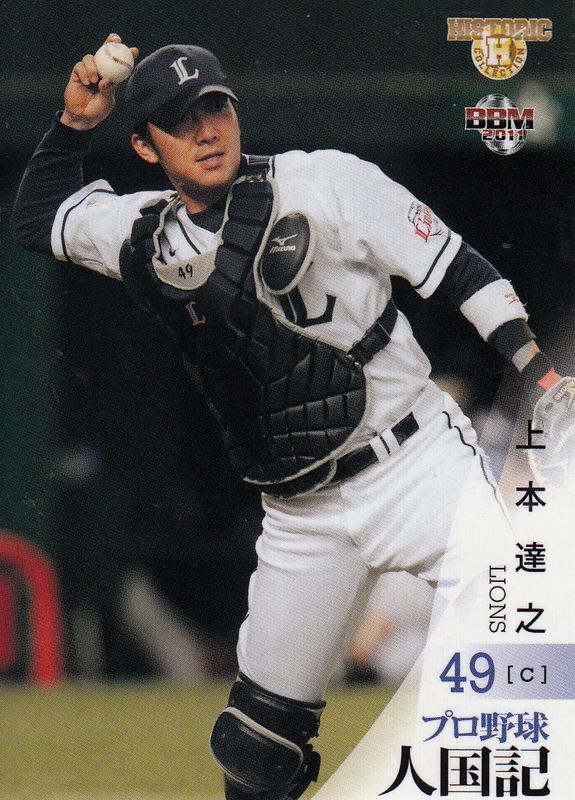 I never really know what to call this set since its Japanese title translates to something like "Regret at Parting Ball Players" but this set is dedicated to the players who retired in 2017. Each box contains 34 cards - a 33 card base set plus one special insert card that could be an autographed card. 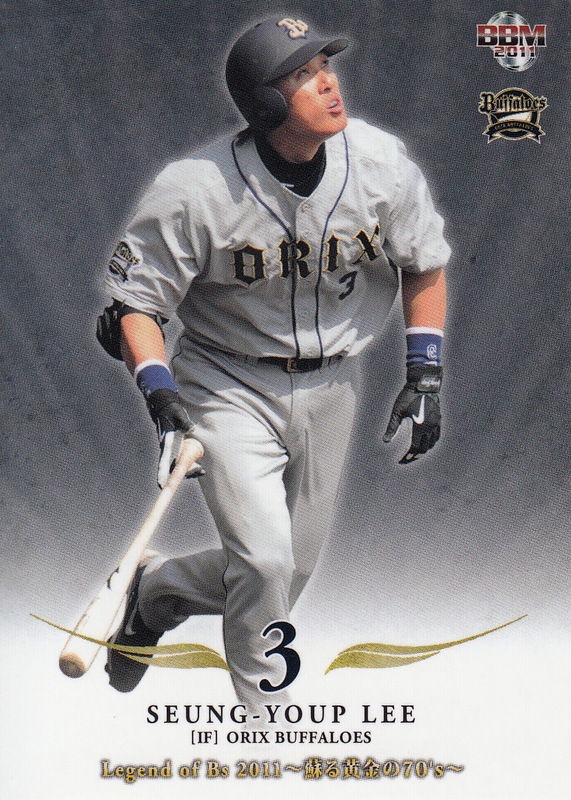 Players appearing in the set include Masahiko Morino, Tadahito Iguchi and Ryoji Aikawa. - BBM's annual set dedicated to the other end of the player career spectrum - Rookie Edition - will be released in mid-February. As usual this set is dedicated to the players who were taken in last October's draft. 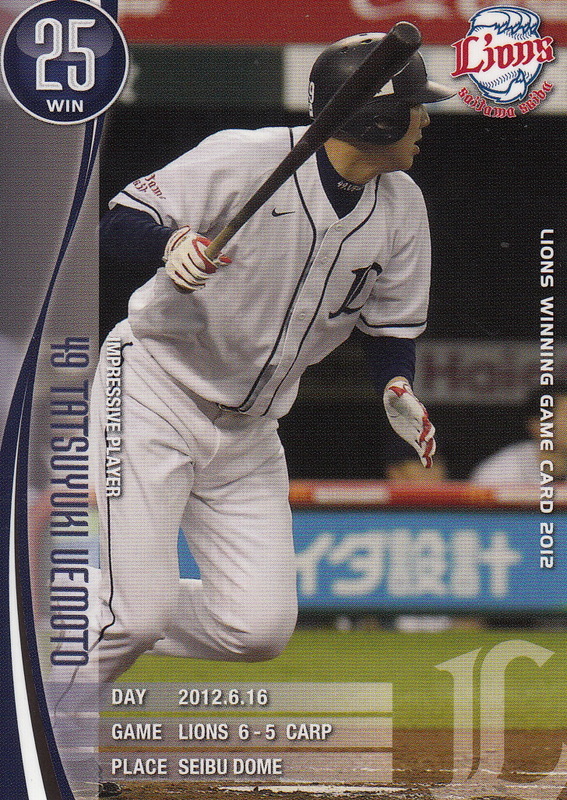 This is a pack-based set that has a 126 card base set - 114 cards for the 2017 draftees and a 12 card "Early Days" subset (which if it's like the similarly named subsets from the past few years will feature one draftee per team paired with an OB or active player). There are two insert sets - a 2 card "Rookie Of The Year" set (that I assume features Sosuke Genda and Yota Kyoda) and a 12 card "Next Generation" set. 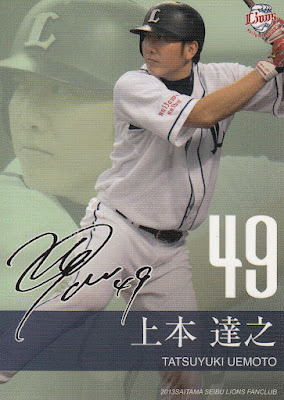 There will also be various parallel issues for the cards of the draftees and autographed cards available. Not completely sure if the autographs will be inserted into pack or available via some sort of redemption process (or both). And looking at the sample cards I can now answer the question I asked last year about the shapes on the card. After the 2016 set had the players in circles and last year's set had them in triangles, I wondered if this year would be squares, trapezoids or hexagons. It turns out that they are pentagons. - BBM is celebrating Shohei Ohtani's departure to MLB with a set called "Grateful Days". This is a 20 card box set that will be released in mid-February. The 19 card base set will highlight key events in Ohtani's five years in NPB including his signing with the Fighters, the Fighters' championship in 2016 and his farewell press conference on Christmas Day 2017. The other card in the set will either be a 3D card, a memorabilia card or an autographed card. The set will be limited to 3000 and will retail for 5000 yen. The Salt Lake City Trappers were not the only Pioneer League team to have a working agreement with an NPB team in the late 1980's. 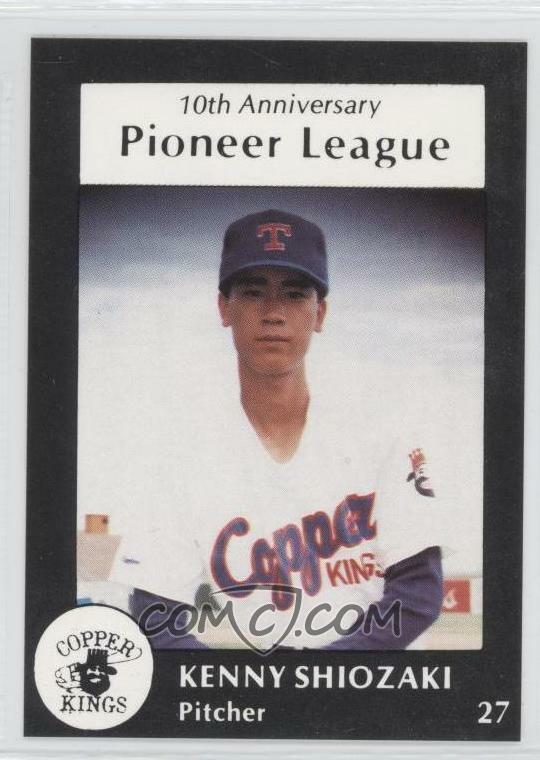 The Butte Copper Kings had one with the Yokohama Taiyo Whales between 1987 and 1989. Like the Trappers, the Copper Kings were an independent team. Unlike the Trappers, the Copper Kings were very bad - they went 19-50 on the season and finished 29 1/2 games behind the first place Trappers. The Whales sent four players to the Copper Kings that season. Two were pitchers (Katsunori Kitano and Tomoyuki Tozuka) and the others were a catcher (Yasushi Takeda) and a third baseman (Katsuya Okubo). Both Takeda and Okubo played tolerably well - Takeda was fourth on the team in batting with a .277 average while Okubo's 11 doubles was tied for the second most on the team. The two pitchers didn't do very well however - Kitano went 1-9 with a 6.86 ERA and Tozuka went 2-8 with a 5.11 ERA. 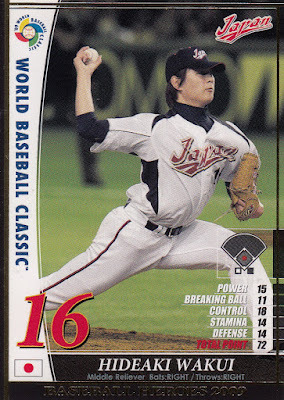 Keep in mind however that the staff ERA was 5.43 so Tozuka was arguably one of the better pitchers on the team. Butte would turn it all around in 1988. The team became a Texas Rangers farm team that year and ended up going 44-26 and finishing first in the league's South Division before losing to Great Falls in the playoffs. The Whales sent only two pitchers that season - Denney Tomori and Kenichi Shiozaki. Both pitchers worked out of the bullpen and put up decent numbers - Tomori went 5-0 with a 2.51 ERA and Shiozaki went 1-0 with an ERA of 3.32. 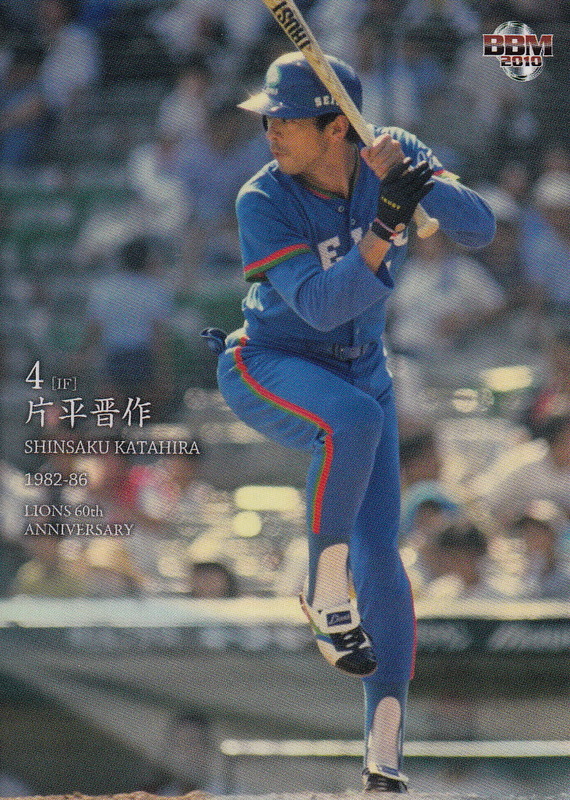 The staff ERA was 5.45 so both pitchers were among the team leaders in ERA. In many ways 1989 was a repeat of 1988 for Butte. The team again won the South Division crown (going 41-25 this time) and again lost in the playoffs to Great Falls. 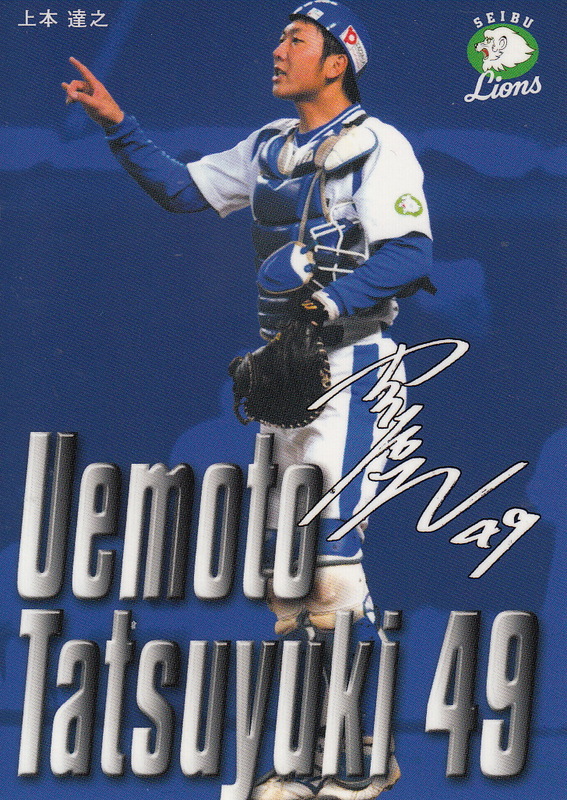 The Whales again sent two pitchers - Takaaki Matsumura and Koji Sugiura - but this time neither pitcher made much of a contribution to the team. 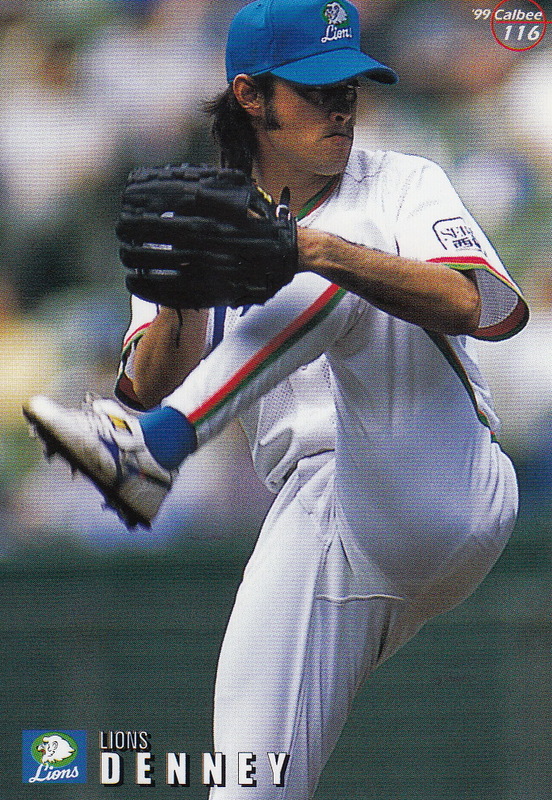 Matsumura appeared in four games and had an ERA of 9.35 while Sugiura appeared in six games with a 11.42 ERA. 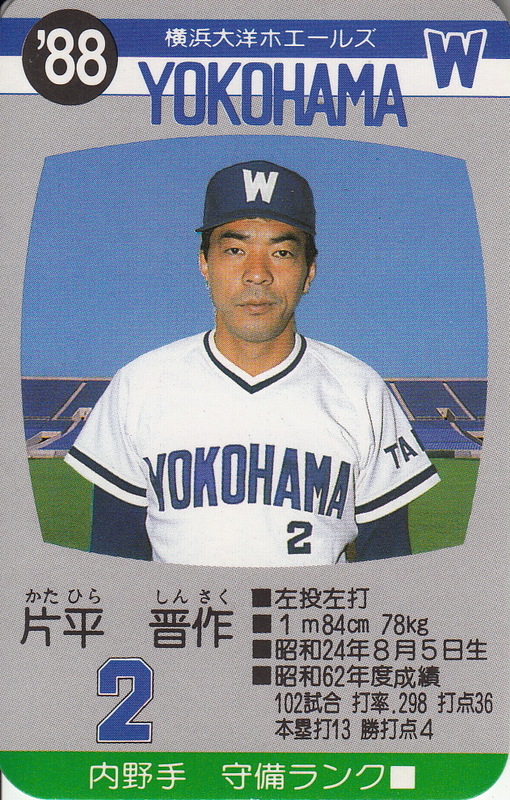 The team was managed that year by Bump Wills who had spent two seasons with the Hankyu Braves in 1983-84. 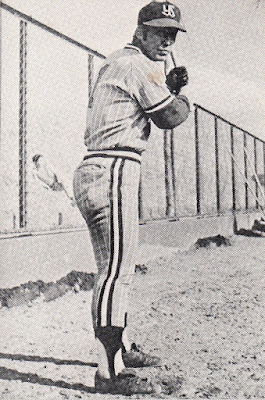 The Whales and Butte parted company after the 1989 season. As usual I don't know what happened - if the working agreement was only supposed to last three years or whether the Rangers didn't want to give up roster spots. 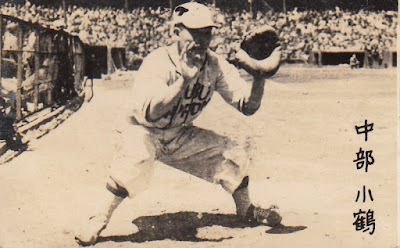 Butte would remain a Rangers farm team through 1992 before spending the next three years as an independent team again. 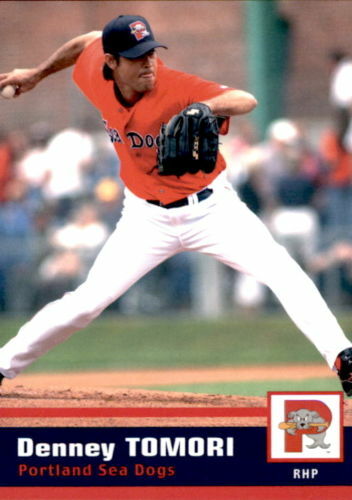 They were a Rays farm team in 1996 (two years before Tampa Bay fielded their major league team) and then an Angels farm team from 1997 to 2000. 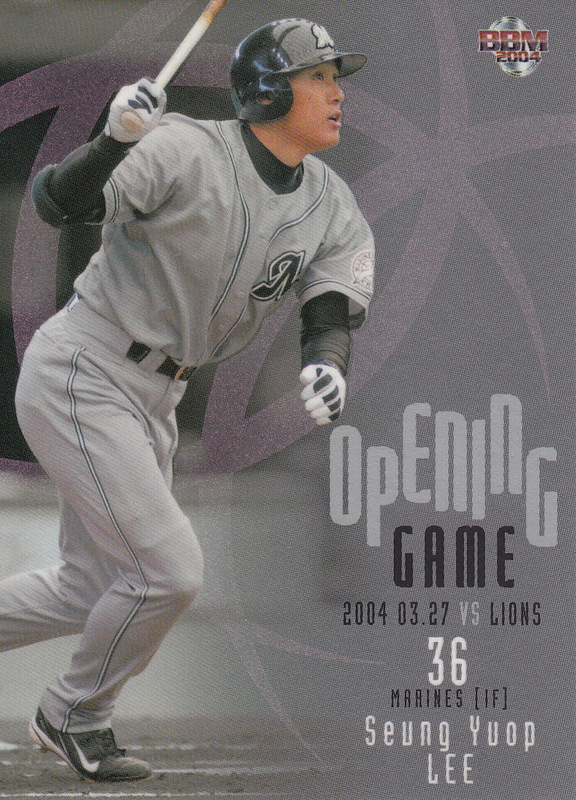 The team moved to Casper, Wyoming in 2001 and became affiliated with the Rockies. The franchise moved again for the 2012 season - this time to Grand Junction, Colorado where they still are today (and still are affiliated with the Rockies). Denney Tomori obviously was the most successful of this group of players. 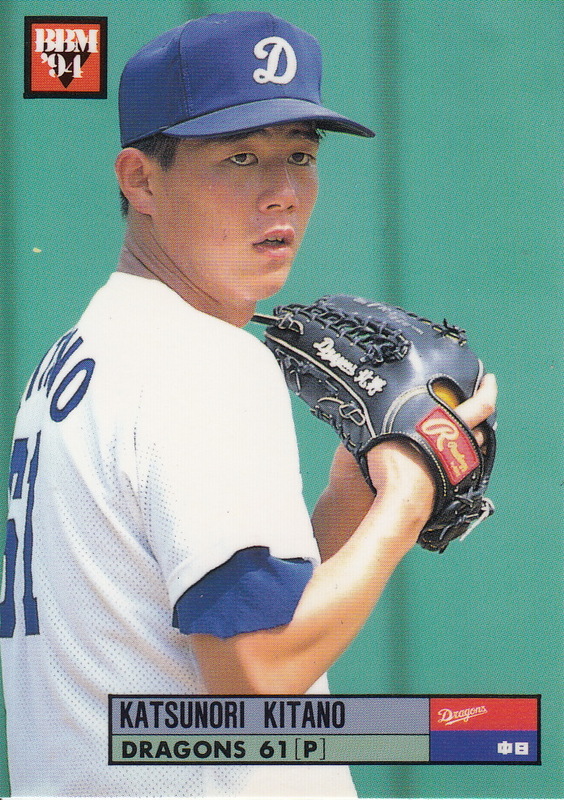 He spent most of his career working out of the bullpen and was a very good middle reliever for the Lions in the late 1990's. 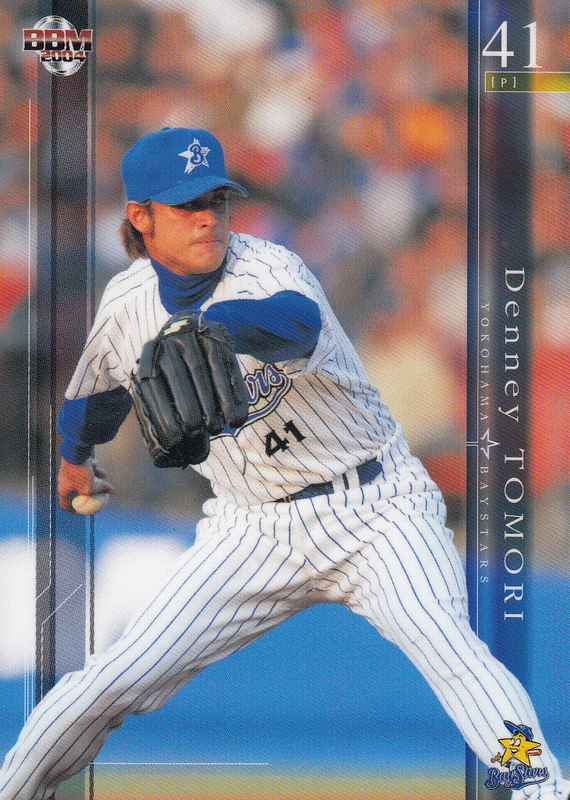 He made the All Star team in 1998 and pitched in the 1997 and 1998 Nippon Series (both in losing efforts). He returned to North America in 2005 and spent the season in the Red Sox organization - he appeared in 19 games with AA Portland and 15 games with AAA Pawtucket. He is now the pitching coach for the Chunichi Dragons (and was the guest on the Japan Baseball Weekly podcast a few weeks back). There are many Japanese baseball cards of Tomori including cards from BBM, Calbee, Takara and Broccoli. 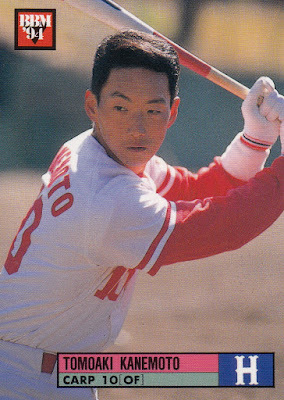 Kitano had the longest career of the rest of the players. He spent four seasons working out of the Dragons bullpen in the mid-90's. All in all he pitched in 178 ichi-gun games between 1988 and 1997 and racked up a 3.62 ERA. There are a small handful of Japanese baseball cards of him - almost all from BBM but he made one Takara set. 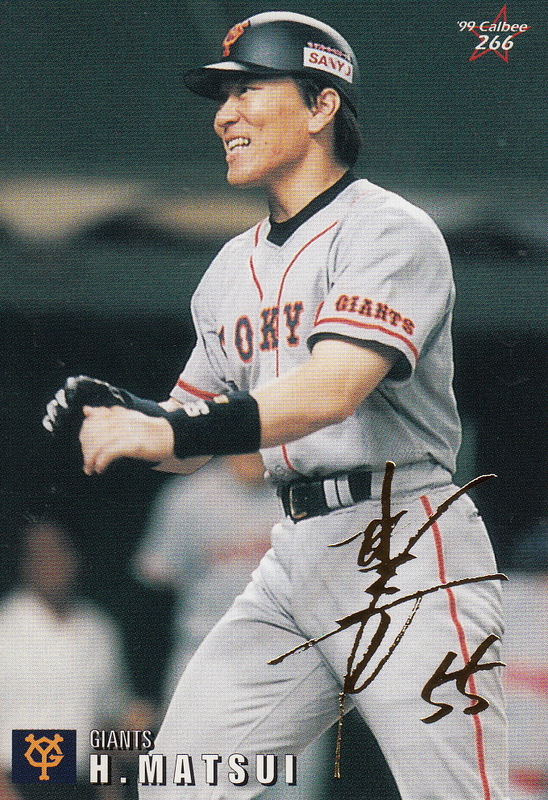 Of the remaining six players only Kenichi Shiozaki and Koji Sugiura ever played at the ichi-gun level and they each only appeared in three games. None of the other six players had any Japanese baseball cards. 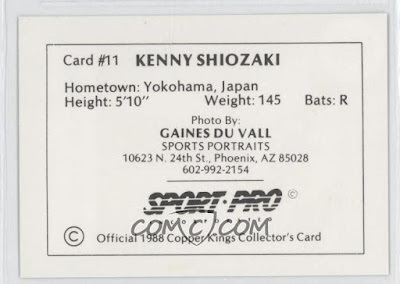 "Kenny" is actually from Ehime Prefecture and not Yokohama. 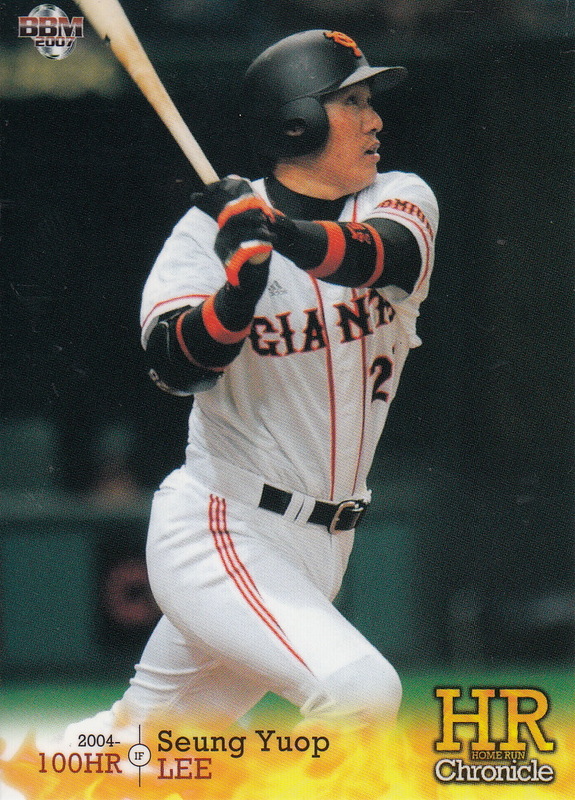 Neither Matsumura nor Sugiura appear in the 1989 Butte team set issued by Sports Pro. 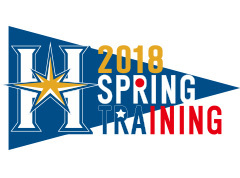 For the third year in a row the Hokkaido Nippon-Ham Fighters will be doing the early part of their spring training in Arizona. After two years using the Padres' facilities in Peoria, however, the team has moved to Scottsdale to Salt River Fields at Talking Stick, the spring training home of the Diamondbacks and Rockies (not sure which team's facilities the Fighters will be using). The team will be there from February 1st through the 14th. Their schedule is here but the important days are the off days on the 4th and 9th, an inter-squad game on the 12th and two games against KBO teams on the 10th (KT Wiz) and 13th (LG Twins). All three games will be at 12:30. The roster of who's coming was published today. I've translated it below (with a lot of help from YakyuDB). 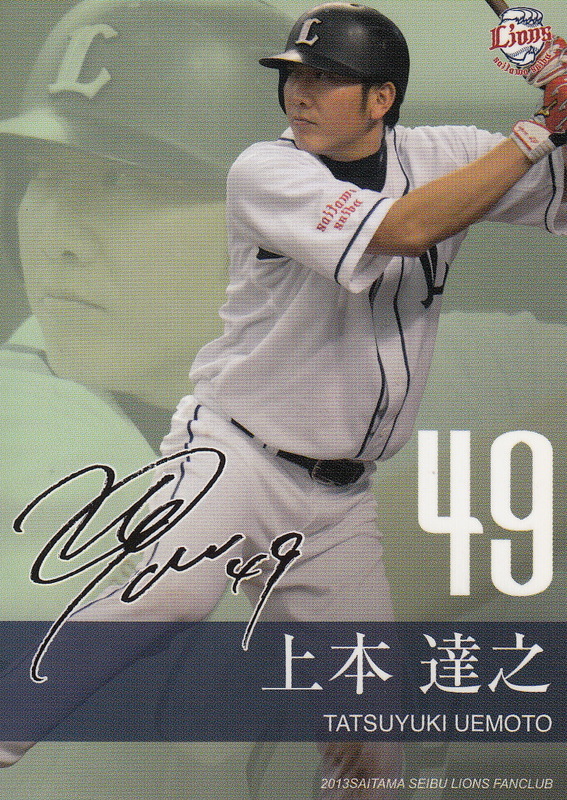 Most of the Fighters' stars will be in Scottsdale as will their top draft pick from last fall - Kotaro Kiyomiya. In addition to the Fighters there are four KBO teams that are also training in Arizona. Two of them you already know - the KT Wiz and the LG Twins - since they will be playing the Fighers. KT will be training in Tucson at the Kino Sports Complex from January 29th until February 21st. Then they'll move to San Bernardino, California from February 22nd until March 10th. LG is training somewhere in the Phoenix area (I couldn't figure out which ballpark) from January 30th to February 21st. The other two teams are the Nexen Heroes who will be in Surprise from January 31st until February 19th and then in Tucson (at the Kino Sports Complex) from the 19th until March 6th and the NC Dinos who will be in Tucson (I think at Hi Corbett field) from January 30th until February 22nd and then Los Angeles from the 23rd to March 10th. There's at least one other Asian baseball team training in Arizona this winter as well - the Chinatrust Brothers of the CPBL will be in Tucson although I'm not entirely sure when and where. They're listed on the Kino Sports Complex's calendar on February 21st and then from February 28th to March 4th which doesn't make a lot of sense. I don't know if they're spending time training over at Hi Corbett field also or if the schedule is just wrong. Another KBO team, the SK Wyverns, will be training in Vero Beach, Florida from January 30th to February 22nd. 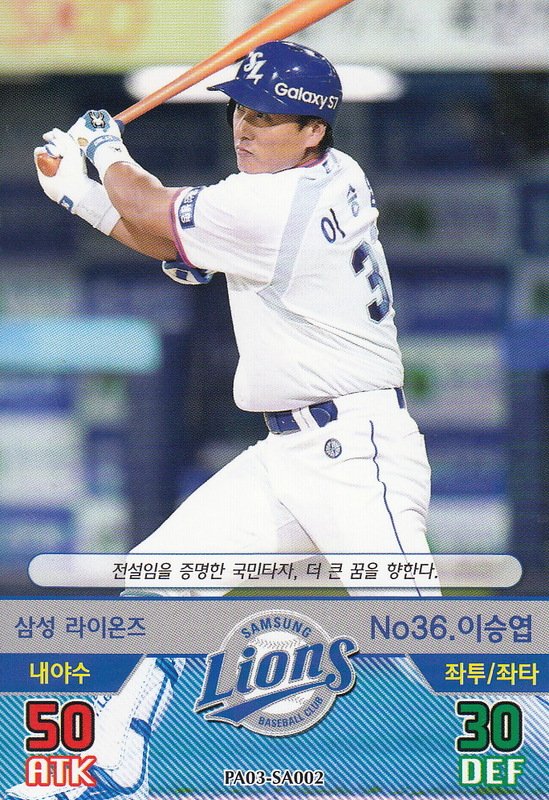 I want to thank MyKBO.net with the information on where the KBO teams will be training and Justin for the heads up on the Chinatrust Brothers. I tried looking for information on the websites for the teams but I didn't find anything. 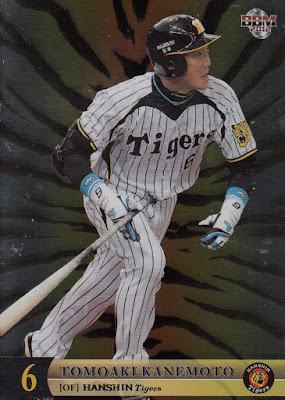 UPDATE - I was informed by @GOCPBL on Twitter that Chinatrust will be in Tucson for three weeks and they will likely be at Kino the entire time which makes more sense. The 2018 Hall Of Fame inductees were announced today. 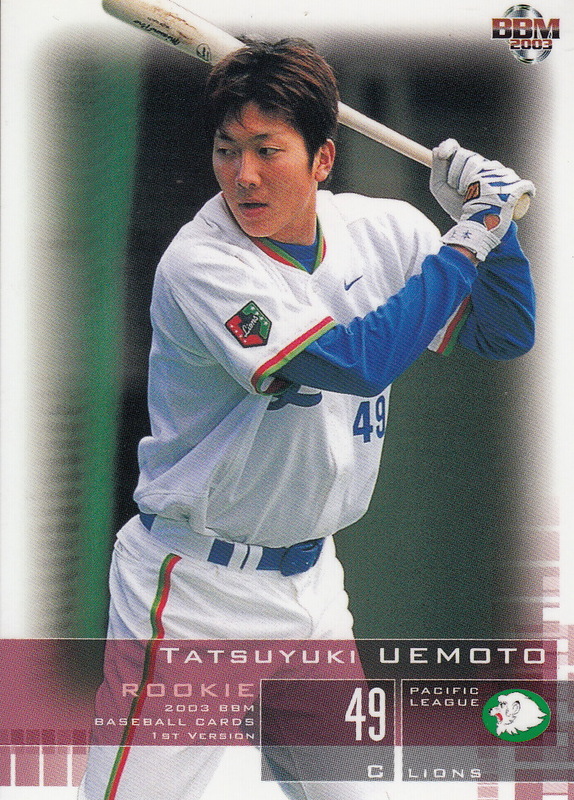 The inductees from the Players Division ballot were Hideki Matsui and Tomoaki Kanemoto. Both players were inducted in their first year of eligibility. Matsui is only the third member of the Hall Of Fame to have played in MLB (after Hideo Nomo and Kazuhiro Sasaki) and at 43 years and 7 months is the youngest Hall Of Famer ever elected. 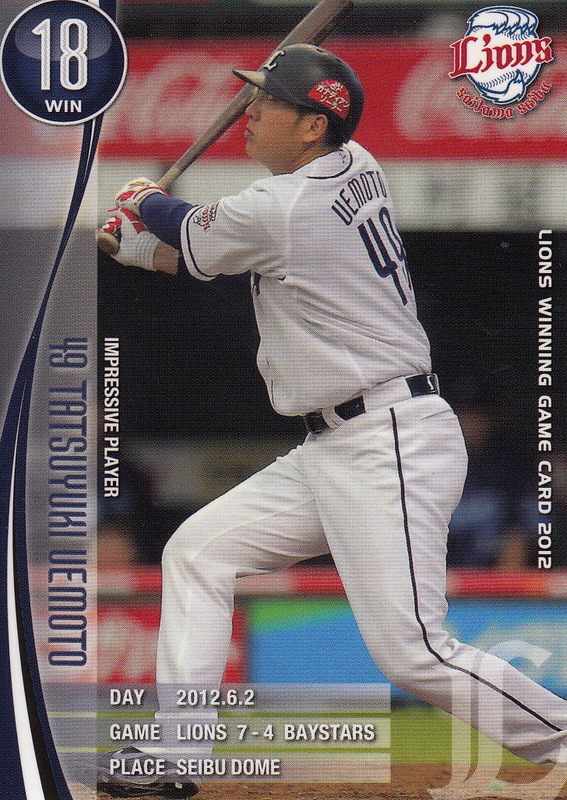 Tatsunori Hara as the sole selection of the Expert Division - he had just missed being elected in 2015, his final year on the Players Division ballot. 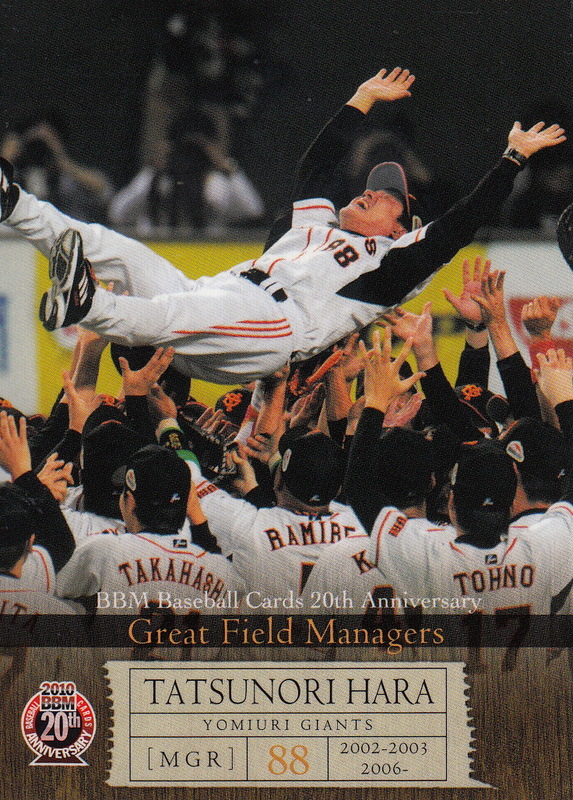 The Special Division election selected long time high school and university manager Masao Taki. The Hall Of Fame's English language press release is here (in pdf form). Here are cards for Hara, Kanemoto and Matsui - I'm not aware of any cards for Taki. 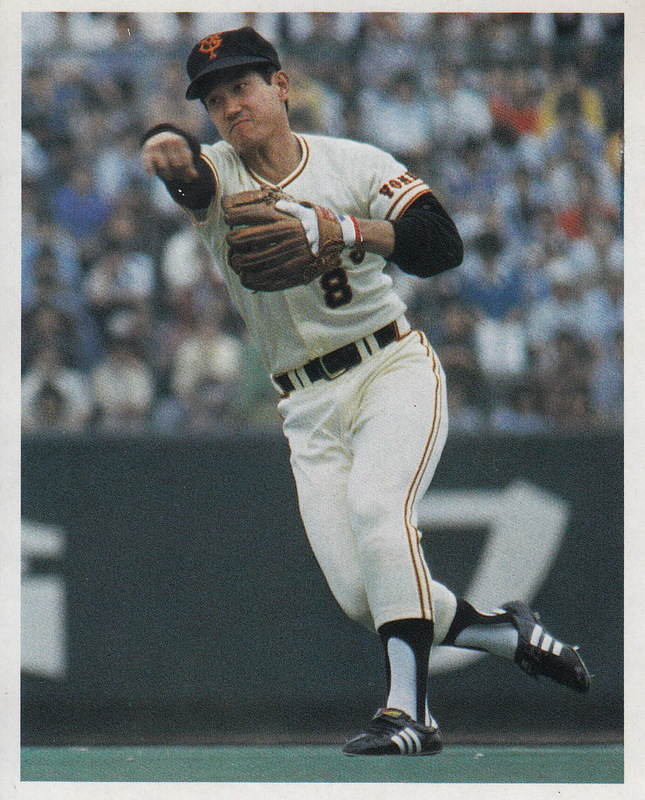 I was surprised to discover last spring when I was researching NPB players who had been loaned to the San Francisco Giants organization back in the 1960's and early 1970's that Makoto Matsubara (who had played with San Francisco's Arizona Instructional League in 1969) had spent the last season of his career as a Yomiuri Giant. 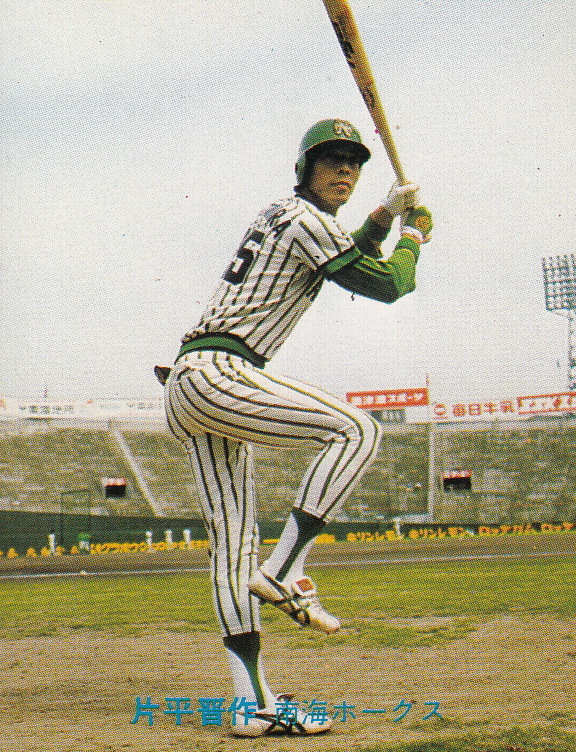 Matsubara had spent 19 seasons playing for the Whales and hit 330 home runs and accumulated over 2000 hits (making him a meikyukai member), He was traded to the Giants in early 1981 for Masaaki Koga. 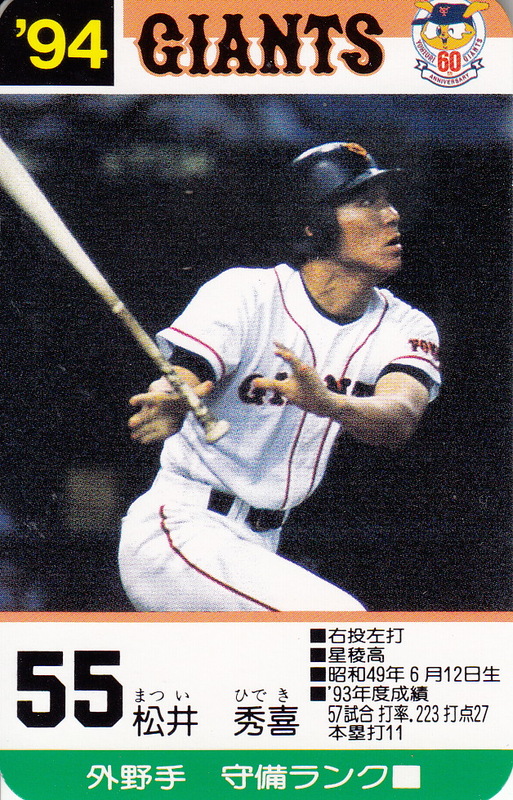 I was further surprised to discover that I had a couple cards of Matsubara with the Giants from the 1981 Calbee set. 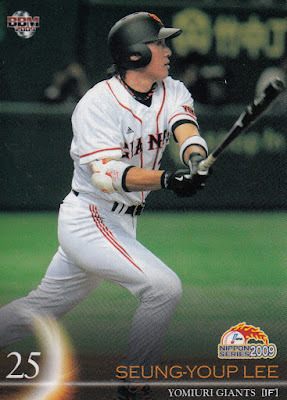 From looking at his stats that year I saw that he had only played in 36 games and hit .233 with only one home run. 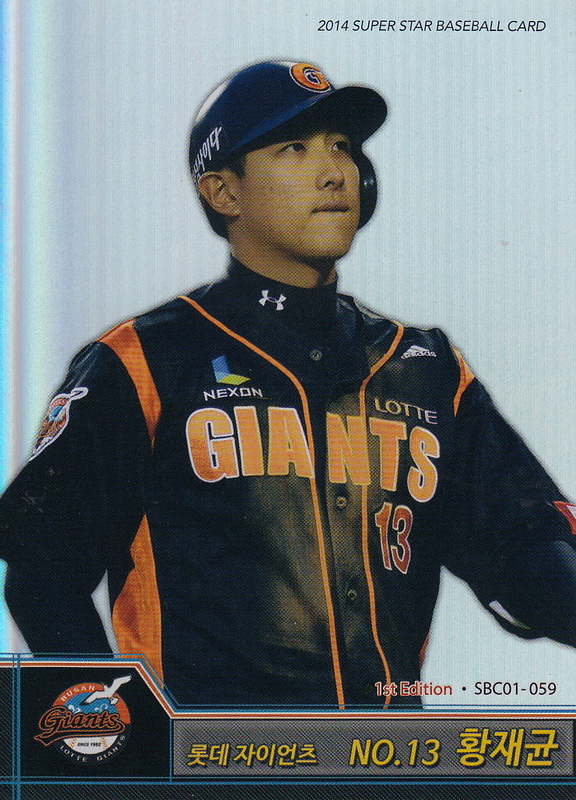 I figured that he hadn't played well enough that season to have earned a spot on the Giants' Nippon Series roster that season which was a shame since the Whales never made the Series while he was with them. I was incorrect however - he made the roster and made two pinch hitting appearances in the Series. In fact his first pinch hitting appearance resulted in a game tying home run in the top of the ninth of Game One, making him the fifth player to ever homer in their first Nippon Series at bat and the first to do it as a pinch hitter. 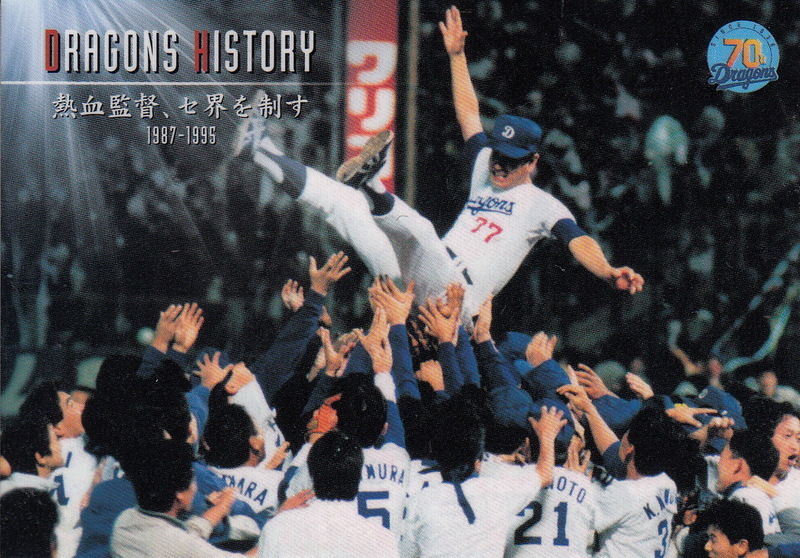 (The Fighters ultimately won the game in the bottom of the ninth.) 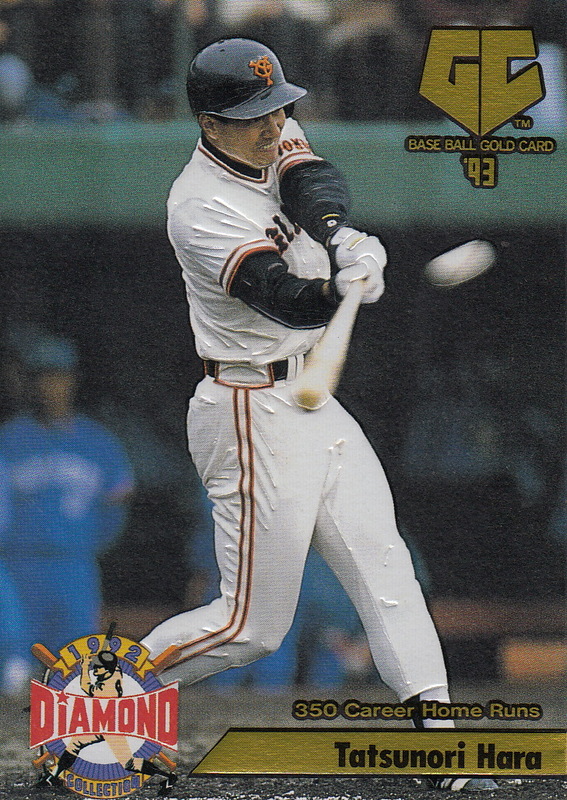 His other pinch hitting appearance was a strikeout to end Game Three - so his only at bats in the Series were in the only two games that the Giants lost en route to winning the Series 4 games to 2. He retired after the Series, a champion for the first time. One of the 1981 Calbee cards I have of him (#412) shows him rounding third after hitting the home run in the Nippon Series. 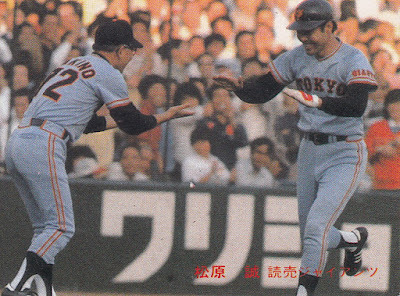 As an added bonus, the third base coach congratulating him is Hall Of Famer Shigeru Makino who there are very few cards of. 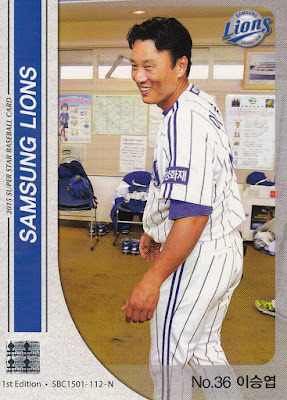 Long time Samsung Lion (and one time Chiba Lotte Marine, Yomiuri Giant and Orix Buffalo) Seung-Yeop Lee retired at the end of last season. 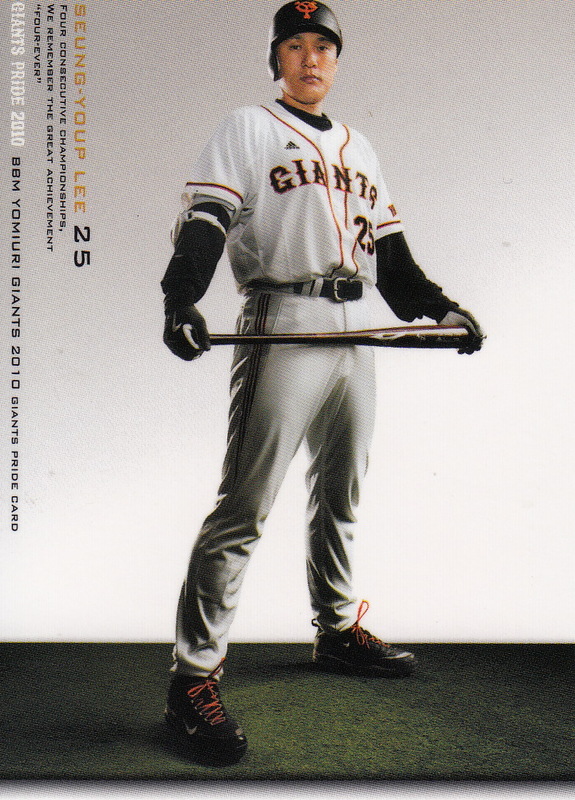 I did a post for Lee when he hit his 600th home run in September of 2016 so I won't repeat his biography here. 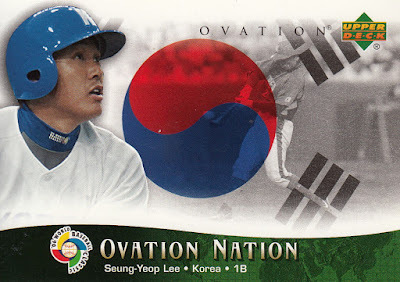 Check out Dan Skrezyna's Korean Cardboard blog for a list of Lee's cards (and a really cool team giveaway set featuring Lee's top five home runs ever).